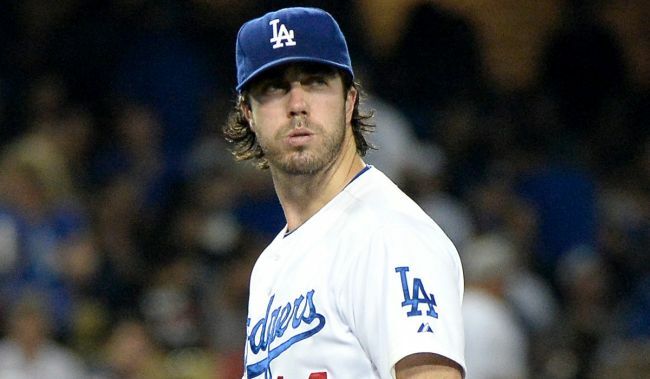 After being traded from the Los Angeles Dodgers to the Miami Marlins, pitcher Dan Haren was undecided of his future. It was well documented around the baseball world that Haren would rather retire from the game instead of pitch on the east coast. His desire was to stay close to home if he were to pitch again. It appears now that Haren might have had a $10 million change of heart since it is now being reported that he will attend spring training with the Marlins. He has still made his desire known to the organization that he hopes to be traded, but it looks like he will head to spring training as a Marlin. For now. Haren, 34, has a career 142-122 record in twelve major league seasons with six different teams. He is a three-time All-Star with a career ERA of 3.77 and has been very durable over his career averaging over 30 starts a season. It will be interesting to see what Miami does, even though they are hopeful he breaks camp with the team and can be penciled into their starting rotation in 2015. The Giants could potentially be a suitor as they are rumored to be looking for starting pitching as well as the new-look San Diego Padres. Next Story → Where Will Scherzer And Shields Land?